South Africa has seen a proliferation of undersea, intercity and metropolitan fibre networks since 2009 when new entrants, such as Cybersmart, were first licensed to deploy their own networks. The reason that fibre networks are being rolled out so quickly, is that fibre offers significant benefits over traditional copper or wireless networks. More Speed - Fibre the fastest technology available for transmitting data. Symmetry - On a 50Mbps Service, the upload and download rate is 50Mbps. Low Latency - Bandwidth with low latency is critical for real time services. Security - It is virtually impossible to intercept data sent over fibre circuits. Our Lightspeed Fibre to the Business (FTTB) and Enterprise services are available nationally. Our Business Fibre and Home Fibre services are available in Cybersmart precincts and to premises along our Build Routes. 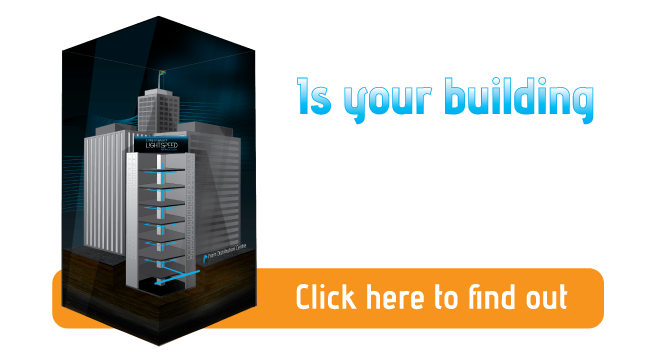 A feasibility check is the first step towards checking if you qualify for fibre. We use your GPS coordinates or physical street address to check if there is fibre in your area. You can also consult the list of buildings in which we have live services or to which we are planning services. Fibre is proven to be the fastest technology available for transmitting data - more than 100 times faster than any service available over copper or wireless networks. As transmitted data travels at the speed of light through fibre, your latency is significantly lower on fibre than any other technology. Symmetrical bandwidth with low latency is critical for real time services such as gaming, voice and video.